The advantage that implants hold come from the fact that you will once again be able to chew on that surface, thereby fully activating the entire jawbone. You will also be able to fully make use of that surface, and you get a proper placeholder that will prevent other teeth from moving in the mouth. Dental implants that are found in the mouth tend to provide an opportunity for bad bugs to grow and produce toxins. If this happens, it can cause a real issue as these new toxins add to the existing ones that the immune system has to deal with, thereby providing even more work for the immune system to handle. When oxidation occurs in the teeth, you can be sure there’s an issue. Composite bridgework actually poses as an awesome alternative. A bridge can be built by dentists out of composite resins. The major advantage of the composite bridgework option is that there won’t be a need to grind the anchor teeth into posts. There’s no metal involved, so you don’t have to worry about oxidation or issues regarding microbes and metal scraps. It’s not metal, so there are no ‘metals and microbes’ issues. However, with this method, there is still the need to address the issue of cleaning the surroundings of the bridge. The composite bridges might also lose strength over time, and the bone under the bride won’t be useful. There are actually several styles of removable bridges, and each has its own name. Just as their name suggests, you can easily remove these bridges from the gap. This means that cleaning around them is pretty easy. 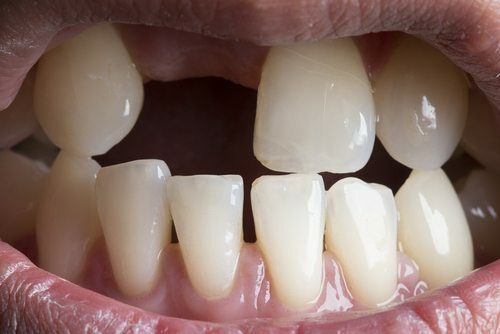 You’ll also be able to maintain the space in order to avoid any changes in bite and shifts in the teeth. However, the possible downsides to removable bridges include poor fitting, a lot of attention and you’ll have to be very conscious when eating so as to ensure that they don’t come loose.